The publication in June 2007 of a White Paper in Multimodality Imaging  marked the recognition by both the European Society of Radiology (ESR) and the European Association of Nuclear Medicine (EANM) of the importance of coordinating future work practices to incorporate multimodality imaging. 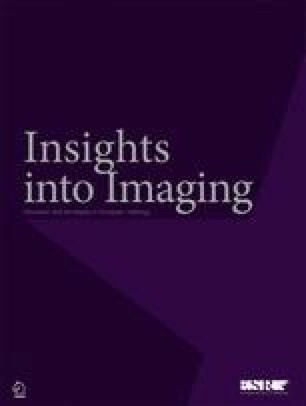 The white paper outlined principles and an approach to cooperation between both societies in response to issues raised by the recent development of hybrid imaging with both positron emission tomography (PET) and single photon emission computed tomography (SPECT). Progress from this agreed position requires formulation of common training structures. A curriculum that ensures the optimal use of complex modalities in patient care will be necessary to promote development of high expertise in integrated imaging. One of the major differences between the two specialties is that traditionally radiology has essentially been based on morphology and nuclear medicine on function. The advent of hybrid imaging necessitates a dual approach by specialists having the required skills. Both societies are working on more detailed recommendations regarding skills and knowledge requirements for nuclear medicine physicians in radiology and radiologists in nuclear medicine. It is intended to publish these recommendations in 2011. Though this curriculum must be practical and economically feasible, it is the responsibility of both ESR and EANM to work towards the highest quality of patient care by ensuring an adequate knowledge base in the efficient use of complex technology. Such an outline could also potentially form the basis for future curricula in other hybrid imaging, e.g., PET and MRI. The Multimodality Imaging Curriculum is a joint European initiative between the EANM and the ESR to define the scope of training for medical specialists in hybrid imaging. The curriculum is a framework outline that may be used by member societies where appropriate to form the basis of discussion on the optimisation of further training of medical specialists. As outlined in the white paper on multimodality imaging, training in each specialty must be comprehensive and not based exclusively on a single technique extracted from the partner specialty. Hybrid training should incorporate broad-based knowledge of the core principle of both specialties including clinical experience, communication skills, patient safety issues, etc. In the interests of best patient care, it is essential that an in-depth understanding of the potential and applications of both radiology and nuclear medicine be attained for best practice hybrid image interpretation. Training in radiology or nuclear medicine complementary to the base specialty should only take place in recognised training centres fully accredited by the appropriate national or European authority for the relevant specialty. During the crossover training, the programme should allow the trainee to maintain their acquired competencies in their primary specialty (be it radiology or nuclear medicine), in accordance with the requirements of local rules and regulations. A 2-year period of training in the complementary specialty subsequent to the base specialisation in either radiology or nuclear medicine is recommended. The practical incorporation and training of this will vary from country to country, but it is recommended that a period of circa 18 months be dedicated to cross-sectional imaging techniques of the complementary specialty, i.e., to PET and SPECT for radiologists, and CT and MRI for nuclear physicians. This would allow a 6-month period to be used in acquiring additional knowledge of the core principles of the complementary specialty. It is recommended that national authorities allow 12 months of training in the complementary specialty to be recognised as part of the training in the base specialty for accreditation purposes. This time structure would allow completion of full specialisation plus competency in multimodality imaging within a period of 6 years. A common trunk approach to training is not supported by this curriculum. Neurological and cardiac hybrid imaging are not included in this core curriculum. Due to their specialised nature, it is anticipated that further dedicated training will be required in these topics. The competencies achieved through this process are specifically in the areas of SPECT/CT and PET/CT, but it is anticipated that this outline may form a structured basis for similar training in evolving hybrid imaging techniques. Crossover training should incorporate broad-based knowledge of the core clinical principles. Many of these will be common to both specialties such as clinical orientation to include knowledge of the disease under investigation and the most appropriate imaging test for the clinical situation, communications skills, patient safety issues and resuscitation techniques. An emphasis on, and evidence of, attendance and participation in multidisciplinary meetings is of particular importance in multimodality training and will enhance an integrated understanding of both specialties. Trainees must also record actual clinical presentations at such multidisciplinary and tumour board meetings. For training in hybrid imaging particular emphasis should be placed on an understanding of the appropriateness of various imaging investigations in specific clinical settings. These skills should include the choice of the most appropriate imaging test or combination of tests to provide meaningful and relevant answers to the clinical issues and questions, balancing the advantages and disadvantages (clinical accuracy, radiation dose, availability, costs, etc.) of the different investigations. In order not to interfere with current training programmes, it is important that the number of trainees from each core specialty undertaking this programme should be balanced. It is recommended that there be a 1:1 exchange of trainees across the two specialities. While it is the goal of both societies that a single doctor can sign off on PET/CT and/or SPECT/CT imaging reports, it is recognised that there will be complex clinical situations where a dual read will remain the best practice. Knowledge of the principles of administration and management applied to a clinical department with multidisciplinary staff and high-cost equipment is required. The promotion of personal research is necessary. It is assumed that basic instruction in the critical reading of medical literature, experimental design and biostatistics, to include the focussed literature search, literature appraisal and application as applied to a diagnostic test, will have been acquired during training in the home specialty. As well as an understanding of uncertainty, error and principles of audit on radiology and nuclear medicine, trainees should also remain cognizant of the possible medico-legal implications of the interpretations they make. Trainees should be encouraged to undertake either a research project or possibly experience a period of dedicated research secondment during their training. This should ideally have an application to hybrid imaging. The methods of assessment and appraisal will vary from country to country, but a regular dialogue between trainer and trainee is desirable to monitor progress and to rectify early any weaknesses that may be manifest. Formal written/oral examination and/or a scientific thesis may be required in some countries during or at the end of this period of training. It is recommended that a logbook of clinical radiological and nuclear medicine activities should be maintained during the training period. Such a logbook might include the number of clinical examinations performed and jointly reported. By this means, the principle of nuclear medicine or radiology training, i.e., the number of examinations performed (vide supra) can be incorporated in hybrid training. It is recommended that personal guidance and continuous assessment should be provided by a nominated tutor. Core knowledge of anatomy, cell biology, genetics, physiology, and the physical basis of all imaging modalities and patient safety must remain central in the educational model. Trainees should be familiar with and competent in the management of acutely ill patients within the department. Radiologists and nuclear medicine physicians are clinical specialists. Direct patient contact is an increasing component of radiological and nuclear medicine practice. Learned principles of communication skills with patients should include the ability to explain tests and procedures to be performed, including hazards and benefits, the obtaining of informed patient consent and the explanation of examination results to patients when appropriate. Principles of communication skills with clinicians should include competence in clinically relevant report formulation, an appreciation of the need to urgently transmit unexpected findings determining immediate patient management, and an ability to place examination results in a clinical and multidisciplinary context. Attendance at clinical conferences and multidisciplinary meetings is an essential component of the training process. This will enhance the trainee’s knowledge of the diseases under investigation and also improve communication skills. The complex technology involved in hybrid imaging is inherently costly. Therefore, training in SPECT PET CT must include an understanding of the principles of cost effectiveness, cost benefit analysis and how this relates to the various clinical scenarios addressed. The knowledge of methods of database search and an understanding of the process of performing a meta-analysis are also necessary. This paper was kindly prepared by Éamann Breatnach on behalf of the European Society of Radiology (ESR) and Wolfram H. Knapp and Tom Nunan on behalf of the European Association of Nuclear Medicine (EANM). It was approved by the ESR Executive Council and the EANM Executive Committee.